Believe it or not, lighting accounts for around 11% of energy usage in residential buildings in the USA. This means that your lighting is one of the single most costly energy forms within your home or business. This leaves a lot of room for significant savings if you can find ways to cut down on costs by effectively utilizing energy saving techniques and energy efficient technologies. While some of these solutions have significant upfront costs, some of the technologies and/or strategies have no upfront costs at all associated with them. A majority of these will also pay for themselves over very specific periods of time as a result of having substantially lower utility bills. The type of light bulbs that you use within your home is going to play a key role in determining how efficiently or inefficiently your lighting performs. Traditional incandescent light bulbs utilize a lot of energy in order to produce a light that is equivalent with bulbs using newer technologies available on the market today. For this reason, these light bulbs are no longer manufactured or are very rare to find. With these kinds of bulbs, 90% of the energy is actually given off as heat, not as light. This is money that you are essentially throwing away every time you turn on the lights. The good news is, there are newer light bulb technologies available within the marketplace. These choices are much more efficient and provide the same choices in colors and light levels that you have grown accustomed to with incandescent light bulbs. Therefore, these bulbs will going to help you save energy, which in turn will allow you to save a significant amount of money. Some of the most popular and energy efficient light bulbs on the marketplace today are known as CFLS and LEDS. CFLs or “compact fluorescent lamps,” are curly versions of long fluorescent tube lights that you would typically have in areas where it may be difficult to change light bulbs frequently, These locations include your garage and/or your kitchen. On the other hand, LEDs are a much newer technology that actually utilizes something called “solid state lighting.” As a result, these bulbs are effectively tiny computer chips that can give off all kinds of lighting options such as power, brightness, and even different colors. These kinds of light bulbs only utilize around 30% of the energy of incandescent bulbs and they can last up to 25 times longer than the updated halogen incandescent light bulbs as well, making them extremely cheap in the long run. The amount of energy savings potential for your lighting is ultimately going to depend on how many lights you have in your home, your overall lighting requirements, how long of a payback period you are wanting to work with, and what kind of lighting you want to achieve within your home. Reducing your lighting costs can ultimately save you a tremendous amount of money every single year. Therefore, it should be a priority to optimize the overall efficiency levels that you can achieve in your home. 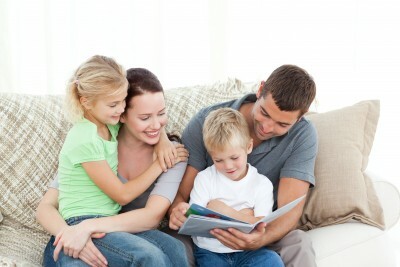 The good news is that here at Home Energy Savings, we specialize in reducing your utility bills. We have a proven track record with a tremendous amount of experience that we can offer you in order to begin saving you money on your lighting today.